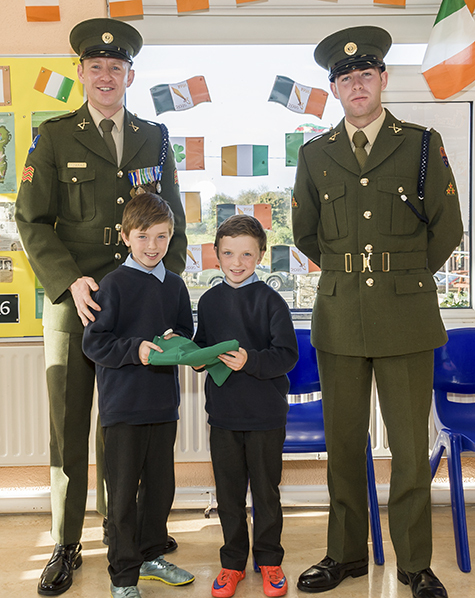 St Brendan's National School Kilmeena welcomed members of the Defence Forces to the school last Thursday. 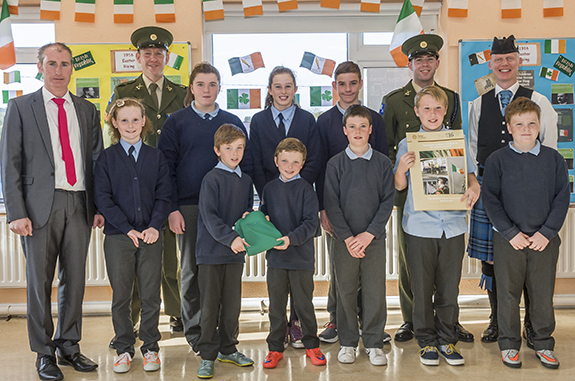 This was in conjunction with the Government's plan to deliver a National Flag and a copy of the 1916 Proclamation to every Primary School in the country, as outlined in the Ireland 2016 Centenary Programme. 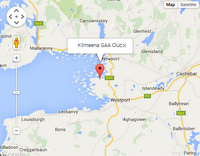 It was a special day indeed with poetry, singing, instrumental music and an address by the members of the Defence Forces. A large crowd attended the celebration and the principal Michael Carney thanked everyone for their support. It was a day to remember and the children really enjoyed the day. 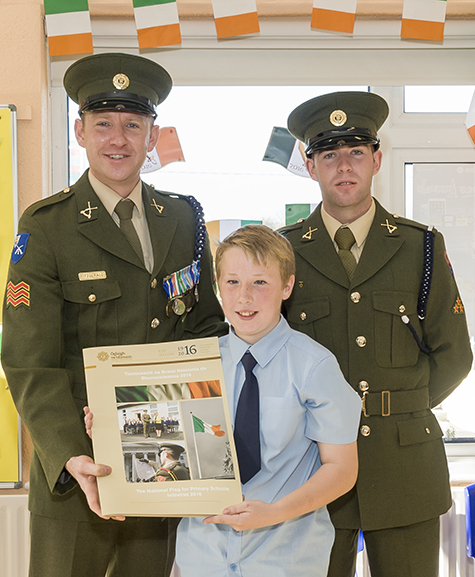 Rian Kilcoyne accepted a copy of the Proclamation on behalf of every child in the school and Jack and Stephen O'Grady accepted the National Flag.